Yes, you. As long as you can write and/or draw, that is. The company has just announced a creative course designed for writers and artists to hone their comic making skills—skills which could actually land them a job working with DC. The Talent Development Workshop offers two different branches, depending on whether you’re a writer or an artist. 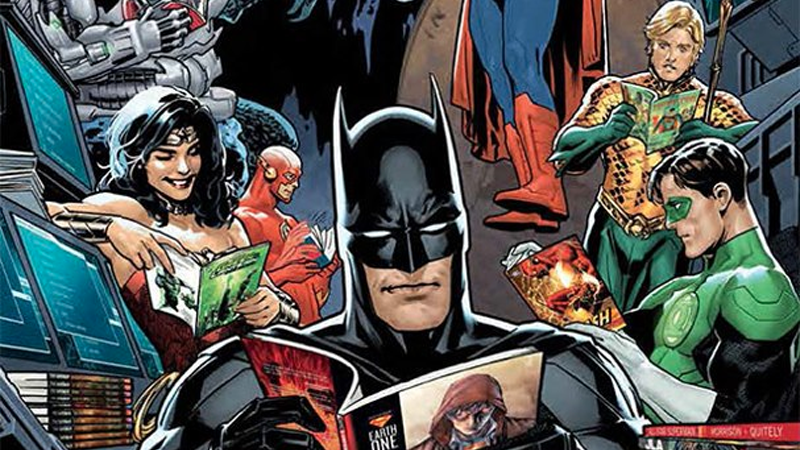 Artists have to present a portfolio of their work before going on a two-week training program with the likes of Jim Lee, Geoff Johns, Scott Snyder, Klaus Janson, and Andy Kubert at DC’s offices in Burbank, while writers take part in a 13-week “interactive” seminar. Select participants then move forward to training sessions at DC. It’s a pretty cool way to reach out to people, especially as the comics industry is notoriously difficult to crack into—and yet, there’s a desperate need for fresh voices and new talent across mainstream comics that young writers and artists could provide. Even if you don’t make it to the stage of actually working for DC, it seems like it could be a potentially useful experience to any budding artist or writer looking for a break. The Talent Development Workshop is taking applications in April for artists, and May for Writers, ahead of the seminars taking place later in the year—if you’re interested, you can find out more here.